Properties in Siesta Key average 4.6 out of 5 stars. Property 1: 636ontheKey - The 'BELLE OF THE BEACH'! - LOCATED DIRECTLY ON THE BEACH! Firethorn 512 - 2 Bedroom Condo with Private Beach with lounge chairs & umbrella provided, 2 Pools, Fitness Center and Tennis Courts. Property 5: Firethorn 512 - 2 Bedroom Condo with Private Beach with lounge chairs & umbrella provided, 2 Pools, Fitness Center and Tennis Courts. 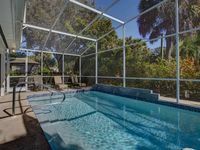 Property 13: SIESTA KEY, PRIVATE PARADISE ON THE WATER, STEPS AWAY FROM SIESTA KEY BEACH ! Kid Friendly Island Home In Paradise!! Discounts in Nov/Dec 2016 & Jan 2017!! Property 18: Kid Friendly Island Home In Paradise!! Discounts in Nov/Dec 2016 & Jan 2017!! AMAZING BEACH COTTAGE - Sleeps 8 in Beds. Private Heated Pool. In Siesta Key Village - Less than 1 Block to Beach. Property 20: AMAZING BEACH COTTAGE - Sleeps 8 in Beds. Private Heated Pool. In Siesta Key Village - Less than 1 Block to Beach. Stunning Siesta Key Custom Home w/Pool & Courtyard. Entirely Gated for Privacy. Your Own Tropical Paradise! Property 22: Stunning Siesta Key Custom Home w/Pool & Courtyard. Entirely Gated for Privacy. Your Own Tropical Paradise! Property 25: Siesta Jewel beach house- A Great place for the Whole Family! ADORABLE BEACH COTTAGE. PRIVATE POOL. Great back Yard. 1/2 Block to Beach and Village. PERFECT LOCATION. Property Manager Program Included. Property 28: ADORABLE BEACH COTTAGE. PRIVATE POOL. Great back Yard. 1/2 Block to Beach and Village. PERFECT LOCATION. Property Manager Program Included. 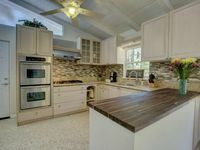 Property 31: Gorgeous Siesta Key Home with Private Pool & Tons of Extras - Bring Your Family! Siesta Key Condo - Walk to America's #1 Siesta Beach! Perfect for Family! Property 33: Siesta Key Condo - Walk to America's #1 Siesta Beach! Perfect for Family! Doveplum 621- 2 Story, 2 Bedroom Condo with Private Beach with lounge chairs & umbrella provided, 2 Pools, Fitness Center and Tennis Courts. Property 39: Doveplum 621- 2 Story, 2 Bedroom Condo with Private Beach with lounge chairs & umbrella provided, 2 Pools, Fitness Center and Tennis Courts. Only 150 yards to beautiful Crescent Beach and heated Pool! Property 41: Only 150 yards to beautiful Crescent Beach and heated Pool! Property 45: 357 Tierra Mar Lane - Village Place- Beautiful! Property 48: Siesta Breeze Beach House: 3bed/3bath - Pool-stroll To Beach Or Village! All the houses in Siesta Key. We absolutely loved our stay. This place is not just lovely and is on a great street, the location is ideal for a trip to the beach...a walk in the evening or just sitting on the back porch listening to the sounds of nature. Love, love, love this house! Will hope to return again! The house, the location , the rental company are a perfect 5 star!!!! Maybe it's because they are smaller allowing them to be attentive? Whatever it is , my family and I will be renting with them next year.